Coming into my psychotherapy office for the first time, clients often say they are having feelings linked to depression or anxiety, which they know implicitly but struggle to find words that accurately describe their current experience. They frequently say that they feel lonely, living with an underlying sense of emptiness, or of being overwhelmed. Many of my psychotherapy clients have successfully established themselves out in the world yet sense something deeper is missing in their inner world. They have often created lives based upon achieving personal goals they set when they were younger, that are no longer working as well as they had planned. The people who come in to see me for psychotherapy or analysis frequently feel stuck in a current life situation and are entering psychotherapy because they are tired of wrestling with the same old habitual behavior patterns in interpersonal relationships. They may also be are finally face and deal with old wounds, grief and loss, or trauma from the past that they are still carrying with them because what they are doing is no longer working for them – even if it looks fine on the outside. They have usually reached a point of being ready to let go of what is not working in their lives. They are usually ready for significant change even if they do not know exactly what the change will be. Positive lasting change is a unique, individual process that involves the whole person. My focus is on helping you live life more fully by getting in touch with your personal strengths and resources, and reclaiming parts of yourself that enable you to find deeper meaning. This process often involves helping you reconnect with your own creative passion by consciously identifying and realizing untapped inner resources that you may have not known were there or have not experienced for a while. In my psychotherapy practice, I frequently work with corporate professionals, writers and artists, entrepreneurs, couples with (and without) children, and members of the Gay and Lesbian (GLBT) community. Some are facing a life transition, or are ready to leave a corporate career and venture out on their own professionally. 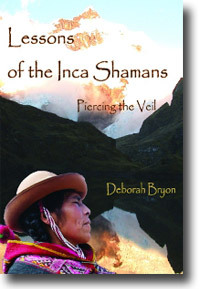 "This book really opens up the secret world of the Inca shamans to people who are unfamiliar with the Incan world. The descriptions are vivid and exciting. The text is very seductive and brings you into a whole new way of seeing the world. It’s a great read!" 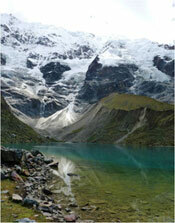 Journey with Dr. Bryon to Peru in 2019 to learn the Andean shamanic rituals and practices. These trips will lead you in the ancient shamanic training led by the Altomesayoq Adolfo Tito Condori and Andean medicine people of AKQ.